From Political Kesident > Bushire. i^atea the 1.6th September 1936. Please hand following Clegg begins. 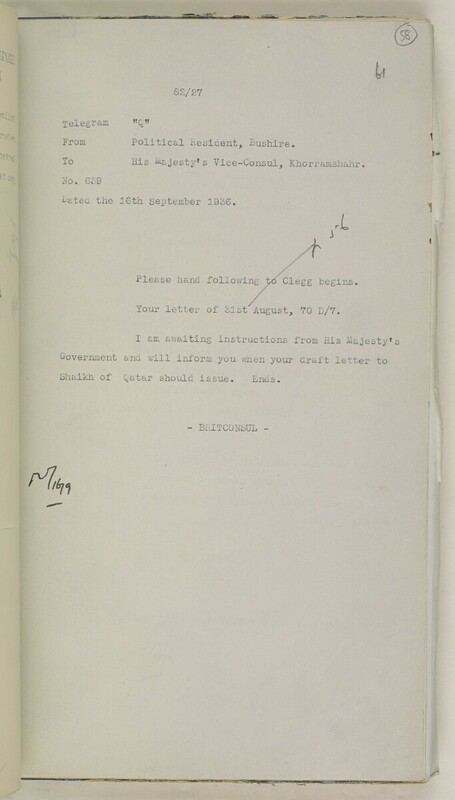 Your letter of 51st August, 70 D/7. Shaikh of Qatar should issue. Ends.